If you need site utility expertise, call us……We have what it takes to get the job done! Tri Dal, LLC. 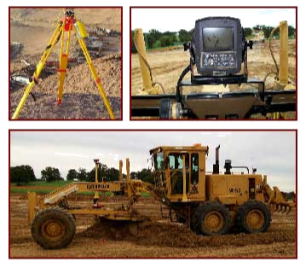 offers outstanding site utilities services for customers needing storm drains, water or sanitary lines, or box culverts for their projects. We have installed up to 108″ RCP for storm drains and up to 36″ RCP water lines, 12′ X 12′ precast box culverts, and duct banks. We serve our customers in the Dallas-Fort Worth area with experienced estimators and who work from the ground up with over 65 years of combined construction estimating experience. Having a deep knowledge base is essential for combining drawing and city specifications into a complete bid scope. Using state-of-the-art digitizers and computer software that allows us to save time in the take-off and bidding process, we also have the capabilities of receiving plans via FTP or e-mail in CAD form and printing them for our use. We use this technology and experience to give our customers the absolute best service. We look forward to a great future and the opportunity to work together with your company on upcoming projects. The Tri Dal team will do whatever it takes to get the job done correctly, safely and on time.